Looking at the proficiency of the India's forwards in this tournament. Akashdeep Singh (5), Ramandeep Singh (2), Talwinder Singh (2) and a goal each by Pardeep Mor, Sardar Singh and SV Sunil give India an edge. India's ace drag-flicker and defender Rupinder Pal Singh, and midfielder SK Uthappa have been ruled out of the Hero Hockey World League Semi Final, commencing in London on Thursday. Twenty eight striking circle penetrations across four quarters by the Indians should have embarrassed the Japanese in what is the silver jubilee of the Sultan Azlan Shah Hockey Tournament. 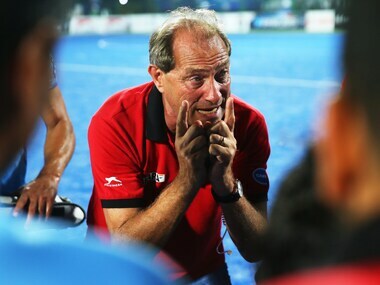 Roelant Oltmans was fuming after a lacklustre India lost 0-3 to Argentina in the opening match of the Hockey World League (HWL) Final, prompting the Dutchman to say he doesn't want to witness a repeat of such a "below-par" showing from his wards in the rest of the tournament. 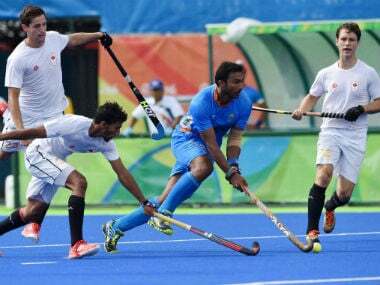 India dished out a lacklustre performance to go down 0-3 to Argentina in the opening match of the Hockey World League (HWL) Final in front of a packed Sardar Vallabhbhai Patel Stadium in Raipur on Friday.